The speed limit is 55 miles per hour on Bruton Smith Boulevard, but Charlotte Motor Speedway has the answer for those who can't drive 55. Rock and Roll Hall of Fame inductee Sammy Hagar will rock the ROVAL™ with a spectacular Saturday-night concert prior to the Sept. 30 Bank of America ROVAL™ 400. The Grammy Award-winning artist will thrill a captivated crowd of race fans the night before the first road course race weekend in the history of the Monster Energy NASCAR Cup Series Playoffs. 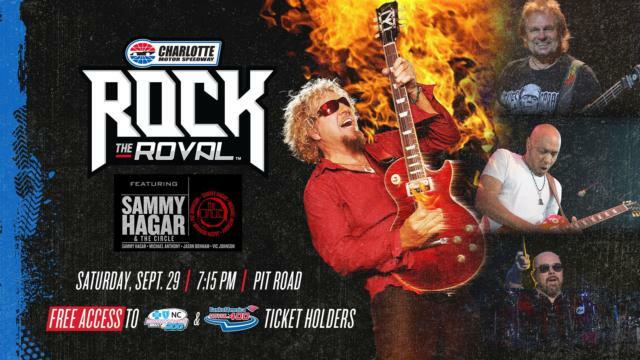 The 90-minute concert takes place at 9 p.m. on Saturday, Sept. 29, in the speedway's infield on pit road following the NASCAR Xfinity Series' Drive for the Cure 200 presented by Blue Cross Blue Shield of North Carolina. Known for hit songs including "I Can't Drive 55," "Right Now" and "Why Can't This Be Love," Hagar has enjoyed a multiplatinum solo career in addition to a world-renowned stint with fellow Rock and Roll Hall of Famers Van Halen. Bank of America employees as well as ticketholders to the Bank of America ROVAL™ 400 or the Drive for the Cure 200 presented by Blue Cross Blue Shield of North Carolina will have FREE access to the concert. 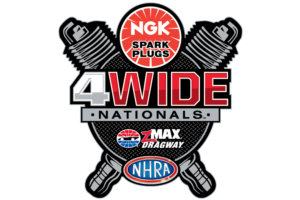 As an added bonus, NASCAR Trackside Live will host a live show at 7:45 p.m. to set the stage for the showpiece event of NASCAR's homecoming weekend at America's Home for Racing.